As we heard at the end of Mass a few weeks ago, the Sisters of the Immaculate Heart of Mary are starting a new tradition of service and sacrifice. The sisters have taken years to discern what way Jesus would have them serve in this missionary territory of America. They have had to take into consideration what the needs are and what best fulfills the charism their founder set for them. Their discernment started years ago and when they asked for help in implementing their plans last September, we put together a small advising committee to see how to implement their ideas. We got going on the building right away as we tried to find help in the legal and business end to their project. Last winter, things started to fall in place and the right people have stepped up to the plate for the sisters. The fruit of the sister’s discernment has been the decision to open a spiritual center for women called the Madonna Renewal Center. Many services will be offered there, but the primary focus will be a home for women in troubled pregnancies. It will be based on one open in the Chicago-land area. The by-Laws and all legal aspects will be similar; so there will be no re-inventing the wheel. Classes will be offered to these women to learn how to cook, clean and take care of their children. Some may have the opportunity to get more education for work. These women would be able to stay there for up to 2 years. The goal is to get them on their own feet and help them avoid being in a similar situation later. The Diocese of Rockford gave them the old St Francis School for $1 about 15 years ago. This may have been a gift, but there are lots of things that have to be taken care of. There is mold, asbestos and paint that have to be removed. The roof also has to be fixed. Both of these needs of the construction have to be done before any remodeling can be done. I have proposed the churches of Freeport to come up with the roof repair ($45,000) to get everything started. I hope your generosity will support them. The Sisters have already received substantial help from local lawyers to make a 501(c)(3) entity and put together the business plans, mission statement and any legal needs. The Bishop has stood behind them by allowing them to solicit for funds in the parishes in our diocese. All the money that comes in for this project will come in by donations only. The sisters take the vow of poverty and live it. At this time, no money has been offered by the diocese. Neither will any money come from the St Joseph account. The only thing that will see this through is your generosity. The sisters have made their decision and are set to the work ahead for their part. Sr Theonilla has shown her determination to do the will of God and go to whatever lengths she needs to see this project through. Sr Maria Eche has also shown her determination and love by re-establishing the Associate membership of the Immaculate Heart of Mary. There will be a meeting for this on July 5th, the first Saturday of July after the morning adoration (around 9:30am). 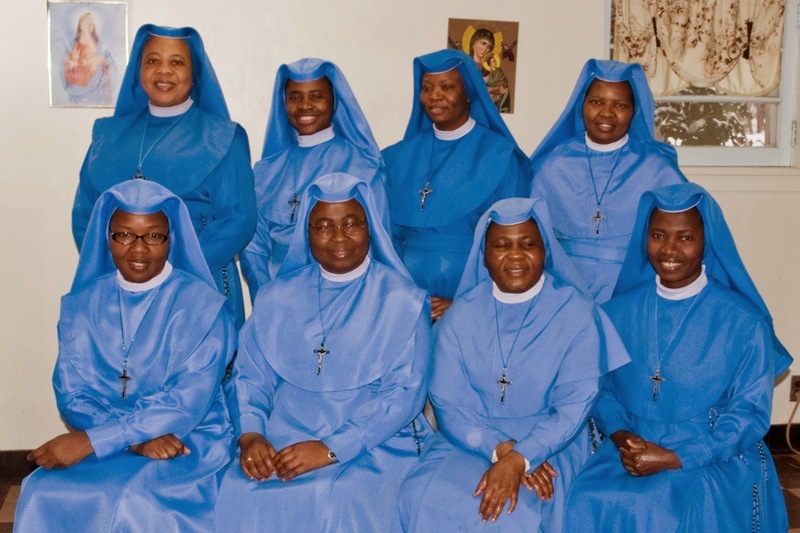 As a lay person, it is a way to participate in the spirituality and ministries of the sisters. If you are interested in the spiritual life they offer, I encourage you to come. When everything is said and done to get them up and running, the project will cost $2,500,000. That is why they will be soliciting from outside Freeport. But it all starts here. Will you help them start this legacy of love and service? Will you help them do God’s will? Madonna Renewal Center is a safe haven that offers hope and healing to women in need. We offer a twelve to twenty four month program for young adult pregnant women and their infants. The objective is to empower women to become self-reliant through a variety of structured curriculum that nurture their personal worth and love for their children. The curriculum will aid each person to acquire self-esteem, character development, faith building, parenting skills, and the development of practical life skills for employment and independent living. Categories: Announcements, Prayers | Tags: Madonna Renewal Center | Permalink.